Štefan Simončič, the president of EPEKA, Soc. Ent., will attend the workshop “AmCham Young Professionals™ Workshop – Double Jump Out of Comfort Zone” organised by AmCham Slovenia. 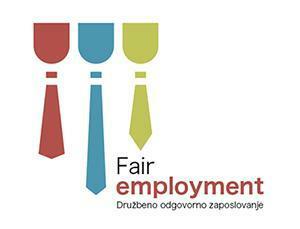 The workshop will be held on February 21st in the Faculty of Economics, University of Ljubljana. These are the foundations for growth mindset, encouraging the development of the intelligence through learning, creativity and coping with challenges. We are convinced that we jump out of comfort zone on a daily basis, with every new challenge. But is it true? What do we focus our thoughts on when facing a challenge? Liljana Cvjetičanin will guide us from “fixed” to “growth” mindsets. We will as well learn how to develop a flexible mindset. Liljana Cvjetičanin, psychologist, kinetics and graphologist, is an expert with over25 years of experience in the field of studying the individual, human internal functioning and its response to external factors and everyday life stress. Faculty of Economics, University of Ljubljana.